Welcome aboard to our newest reviewer, Ange. She is about to take us on a rollicking sea-faring adventure. Fifteen men on a dead man’s chest –Yo-ho-ho, and a bottle of rum! Drink and the devil did for the rest — Yo-ho-ho, and a bottle of rum! Treasure Island was a surprisingly good read! In fact, it’s a rip roaring yarn! Because of its age I thought it would be difficult to read, but it moved along at a good pace and while there was some old fashioned language and syntax, the meaning can be easily discerned by a confident reader. The basic plot is that Jim and his mother run an inn and a disreputable sailor comes to stay. The sailor is scared of outsiders – particularly a man with one leg. The sailor dies in unusual circumstances and Jim becomes the owner of a map – with an X marks the spot! So of course he and his companions risk life and limb to find the treasure. Sadly, one of his companions is less than perceptive and so hires a ship full of corrupt sailors. Luckily the Doctor and the ship’s captain are full of integrity and, when added to Jim’s courage and luck, a mighty battle ensues over mastery of the ship, Treasure Island and the Treasure itself. There are shootouts, bonfires, men marooned for years, booby traps,being cast adrift on the sea, drunkenness, skeletons and even a bit of digging for treasure. Treasure Island is justifiably famous. The imagery is good and Stevenson was great at adding atmosphere. If the conduct of the men had been alarming in the boat, it became truly threatening when they had come aboard. They lay about the deck growling together in talk. The slightest order was received with a black look and grudgingly and carelessly obeyed… Mutiny, it was plain, hung over us like a thundercloud. I found the baddies much more menacing than Voldemort. ‘Come now, march,’ interrupted he; and I never heard a voice so cruel, and cold, and ugly as that blind man’s. It cowed me more than the pain, and I began to obey him at once, walking straight in at the door and towards the parlour, where our sick old buccaneer was sitting, dazed with rum. The blind man clung close to me, holding me in one iron fist and leaning almost more of his weight on me than I could carry. ‘Lead me straight up to him, and when I’m in view, cry out “Here’s a friend for you, Bill.” If you don’t, I’ll do this,’ and with that he gave me a twitch that I thought would have made me faint. Between this and that, I was so utterly terrified of the blind beggar that I forgot my terror of the captain, and as I opened the parlour door, cried out the words he had ordered in a trembling voice. I also found that compared to modern day writing the baddies were much more human by being bad for personal gain (when the risk was worth it), rather than just being evil for no reason at all. 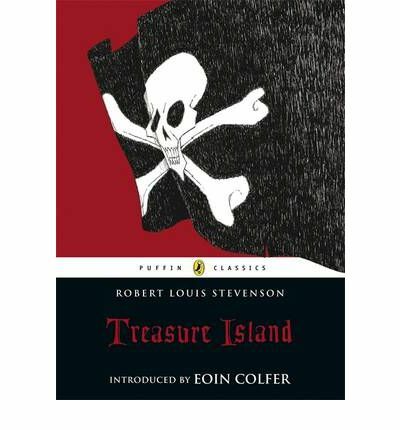 I’m looking forward to reading Treasure Island aloud to my son when he is older. What age would you recommend Ange? Would you recommend it for my 12 year old? Yip I would read it to/with a 12 year old.